As well as providing a count of selected measures, Narratiive queries can display three additional metrics. The below explanations use the following filters, measures and splits to demonstrate the purpose of each metric. Displays the total of your selected measures, for each grouping, during the chosen period. 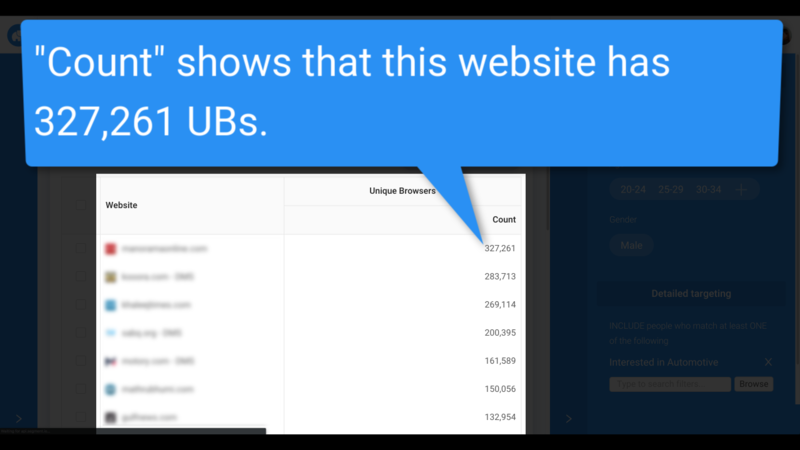 For example, if you had selected UBs as your measure, and grouped by websites, count would show the total UBs, for each website. 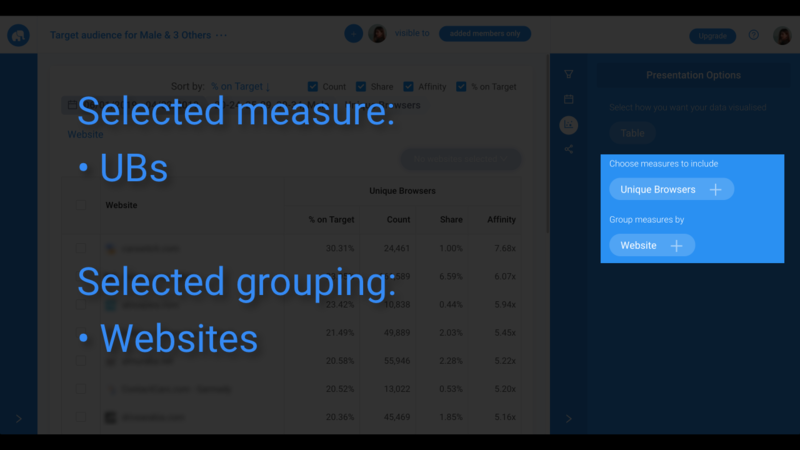 Displays the share, that each grouping represents, as a percentage of the total of each selected measure. 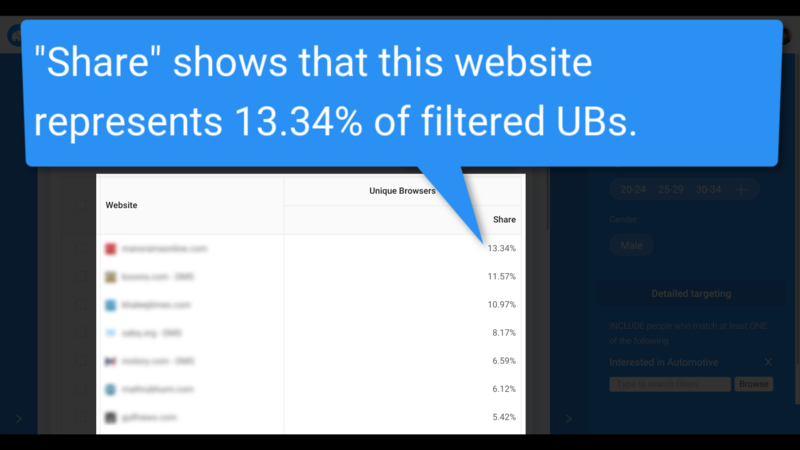 For example, if you had selected UBs as your measure, and grouped by websites, share would show the proportion of all UBs represented by each website. 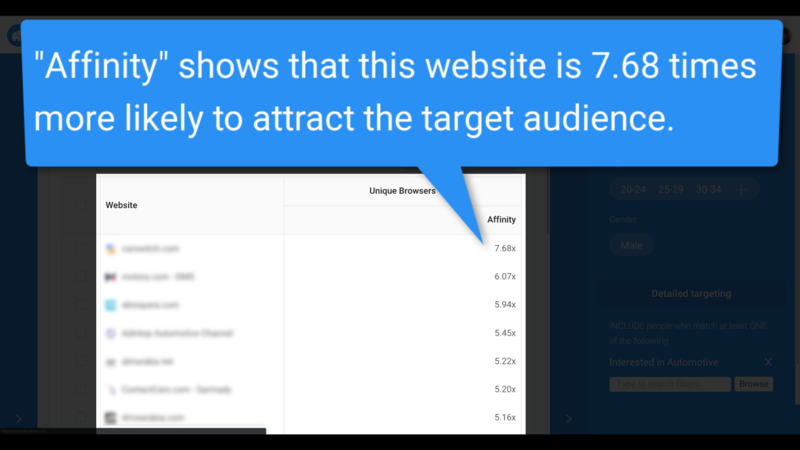 Displays how many times more likely, than the market average, each grouping is to attract your target audience. For example, say your target audience is males, aged 20-34 and interested in cars. If you grouped by websites, affinity would show how many times more (or less) likely each website was to attract young male car enthusiasts. Displays the proportion of each grouping's overall audience that matches your target audience. For example, say your target audience is males, aged 20-34 and interested in cars. 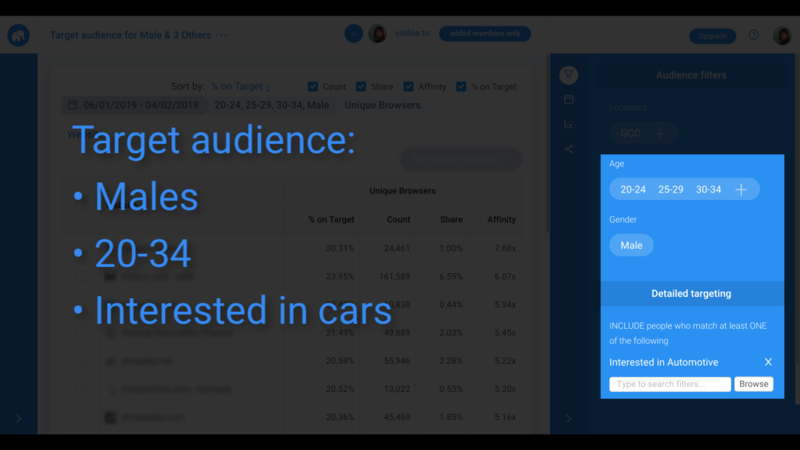 If you grouped by websites, % on target would show the percentage of each website's audience made up by young male car enthusiasts. 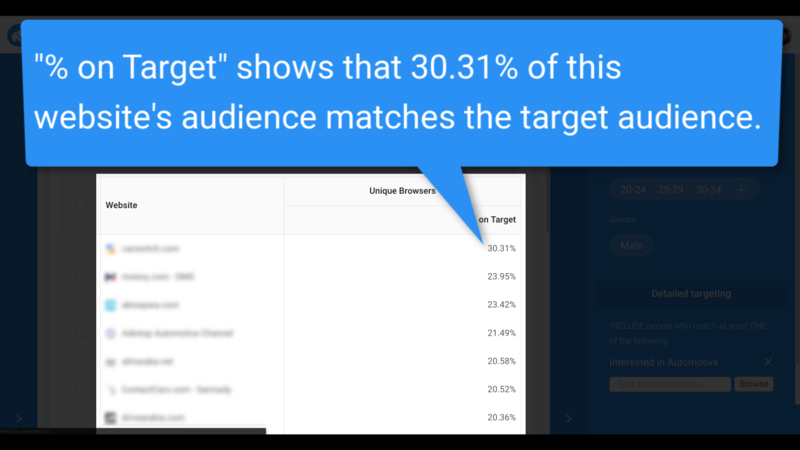 The Affinity and % on Target metrics work best when some audience targets are selected.